Gulfood 2012 / War of the Baristas - Marco Beverage Systems Ltd.
With a little over a week to go to Gulfood in Dubai, we wanted to let people know about a competition we will be running. 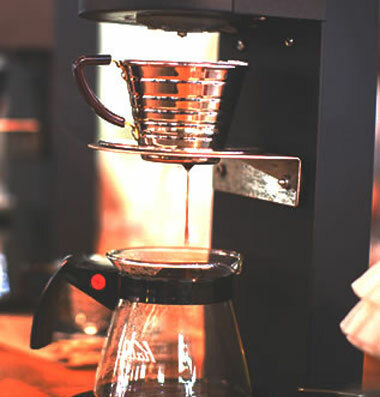 The competition is called “War of the Baristas” and we will be asking entrants to brew their own coffee, with their own recipe using a chemex and an Uber boiler. Judges to be finalized shortly, but safe to say they will be a veritable who’s who of the U.A.E. Barista Championship judging roster. So, come make us coffee, play with some toys, maybe win some prizes. The exhibition runs from the 19th to 21st February and you can find us at stand F1-28.